After doing a lot of tasks for Marble during the Google Code-In, I applied to work on Marble as a Google Summer of Code (GSoC) project. 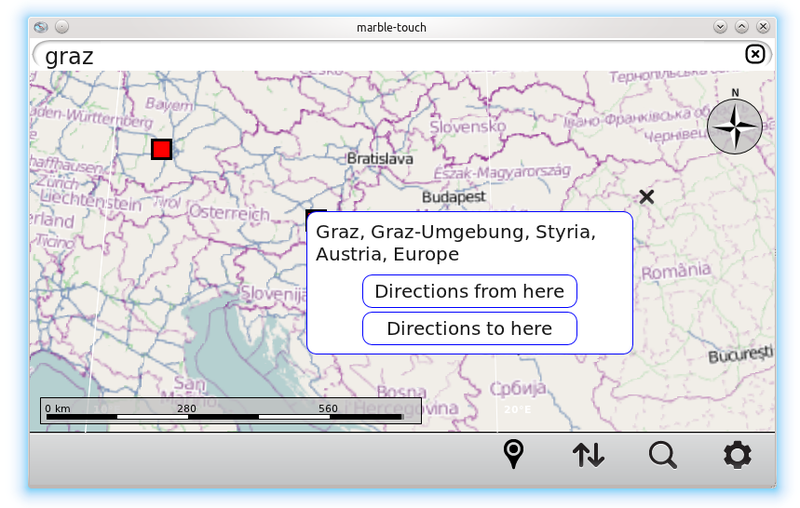 The goal of the project is to improve the mobile version of Marble. This involves several aspects like implementing performance improvements, creating special plugins for mobile use-cases and designing a user interface for the Meego operating system using QML. Currently Marble runs on all Qt-supported operating systems, including Maemo, the operating system of the Nokia N900. It's also part of the project to get it working on Maemo's successor Meego. 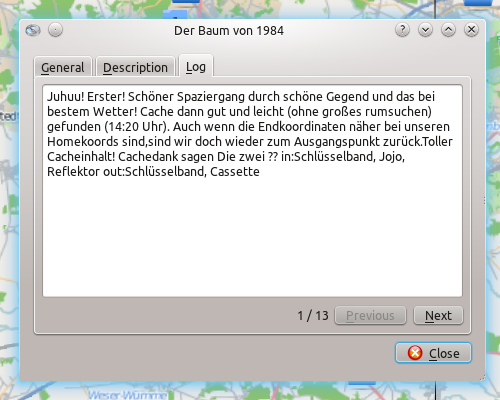 My first task in this project was to write a QtMobility based plugin that retrieves the current GPS position. 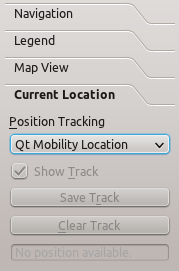 Because of the system-independent nature of Qt, this code works on several mobile platforms, including Maemo and Meego. Due to my Qt skills and an already existing reference implementation based on another library, I could finish this task pretty fast. I mostly spent the remaining time of GSoC with polishing existing code and features. 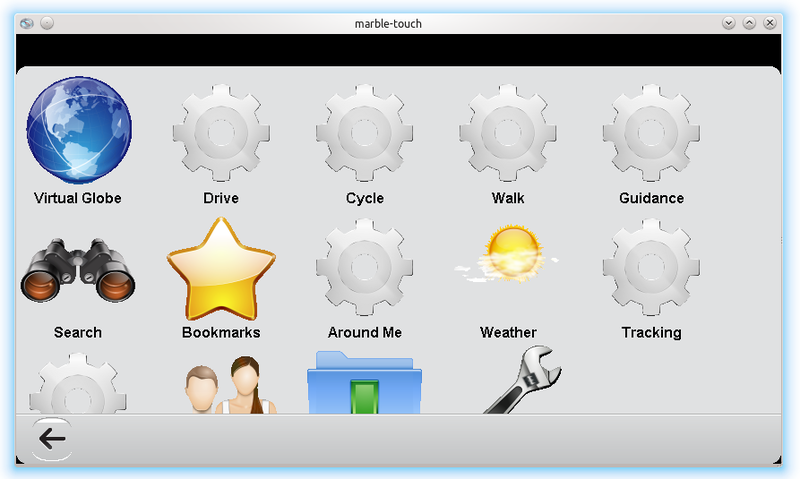 One new thing I introduced into Marble Touch is an activity based management of settings. Instead of manually adjusting settings and plugins for a task, the user just selects an already existing activity with suitable options. 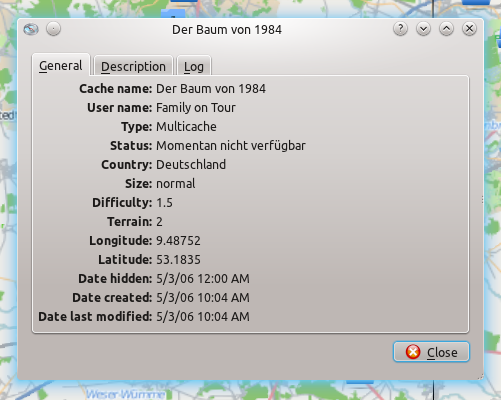 The toolbar contains icons to quickly switch between related activities, like switching from „Geocaching“ to „Guidance“ or enable relevant plugins. A future version could allow the user to create new activities, which would turn Marble-Touch into a comfortable one-click application. 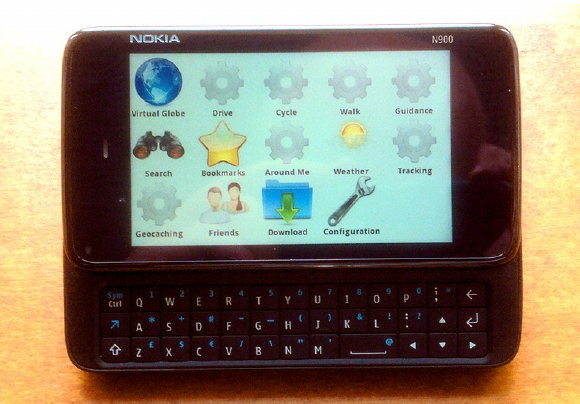 Marble Touch works on an N900 running Meego, which is a great step into the future. After negotiating with the OpenCaching.de team they finally agreed to adjust their API and terms of service for the usage within Marble. 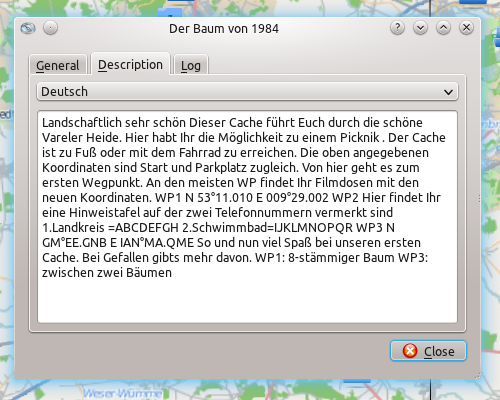 Due to unclear copyright conditions, the screenshots use dummy-icons from KDE instead of the OpenCaching.de-Icons.